This morning I took a walk through a great park in West Linn named for the common camas that is so prevalent. After walking through the wood the maples gave way to oaks and open fields. Camas like slightly marshy condition and the flowers are in full bloom right now. 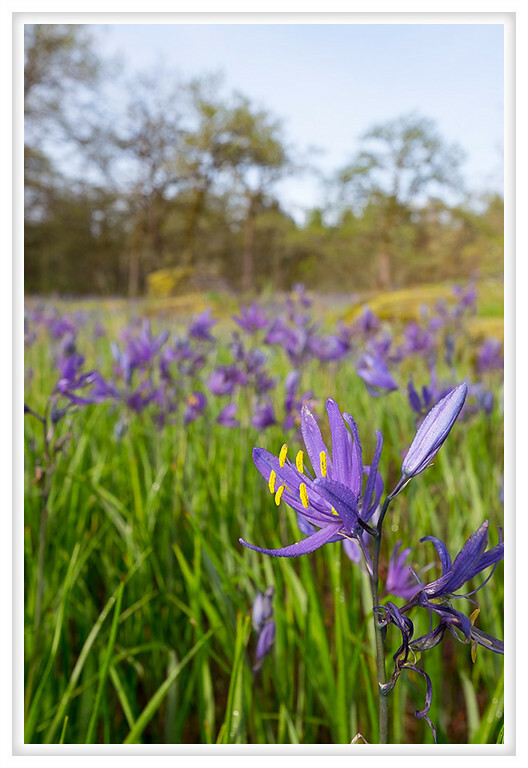 There are a number of places named for camas in this area because they were an important crop. The bulbs are roasted in coals and have been described as tasting like a sweeter more fibrous sweet potato; alternatively the bulb can be dried and pounded into a flour. Today we enjoy the rather spectacular show these beautiful flowers put on every spring.